Is there anyone else out there participating in this? For those who are not, Maho and Shadowlands Taint are both present in the core rules presented through the Beta. Maho is, effectively, magic that anyone can learn, but requires you to have the Disadvantage: Shadowlands Taint. Shadowlands Taint is now tied to a specific Ring, and its mechanics vary based upon the Ring it is corrupting. Interesting thing about Maho, though. Like many of the Techniques (all Invocations, Kiho, Kata, Shuji, and Rituals are all Techniques now; you buy them a la cart with XP, and gain School Ranks through spending XP on in-school items, and Schools just have a special ability that scales with School Rank), you can use them with your choice of Ring. When you use Maho, your Shadowlands Taint shifts to the Ring you just cast from. I do want to try it but I've done so much playtesting and beta testing in my life that I'm not sure if I am willing to play a game with rules that are not set. Also not a fan of the custom dice FFg likes to use for everything. Other than the custom dice, which the system really is wired into and cannot run without, a lot of the changes were ones I felt were in order to make a better game. Combat flows... better, from what I have seen. Skirmishes and Mass Battles can be deadly, but Duels WILL KILL YOU IF YOU GO IN UNPREPARED. Which is what it should be. Also, a built-in Social / Mental Wound system (Strife) with a bunch of Techniques and mechanics which interact with it (the skinny: rolling dice usually gives you a combination of Successes, Opportunities, and Strife; Successes help you succeed, Opportunities give you cool effects, and Strife gives you emotional turmoil... which may screw you over, may make you awesome, your mileage may vary) was something that L5R RPG desperately needed. I don't know if an RPG ever needs a mechanic to force a player to play their character mentally damaged. In my experience a good player can and will play their character with some emotional instability or mental hindrance. Its why I liked the advantage/disadvantage rules because it allowed you to play a character in a unique way. L5R is different because it can be so focused on political and non-combat situations. I am sort of fine with having a social health pool as well as a combat one, but I've always felt it was better to actually feel victorious or defeated during a verbal skirmish than have stats tell me so. And yes a lot of times it depends on the GM or players to make the non-combat scenes work. Hopefully the new version is fun otherwise I can see myself and friend sticking with 4th ed rules. The Strife system is interesting, because outside of a Duel, it does not END a situation, it just changes it. In Combat, for example, it can be very helpful to have an Outburst because you have too much Strife, as it forces you into a battle-frenzy state. 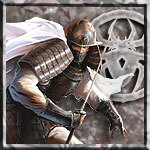 The Akodo Bushi, for example, can spend Strife to get more Successes on attacking. It is not so much as "mentally damaged" as "stressed out". I'm really enjoying the beta as most of the changes were for the better, IMO. I like the strife rules a lot, though I understand why some people wouldn't. I saw an Ad on myth-weavers for a pbp run of the new rules. They are looking for 5 players, but I am just starting a pbp on the site of my own so I won't be signing up. Link to the Ad is here for anyone interested in applying (Cut off date is Nov 4th). A Samuari has been murdered in Ishikawa Mura, in the lands of the Crab Clan. Emerald Magistrate Seppun Hirohide has taken a group of his agents to investigate, and bring the murderer (or murderers) to justice. Little do they know that this murder is just one link in a dire chain of events that threaten to plunge the Emerald Empire into chaos. I plan on reading some of the interactions regardless, just figured I'd share.